With the annual Mobile World Congress less than two months away, consumers and tech professionals alike are eager to see what new devices Samsung will unveil. Last year, the South Korean company announced the Galaxy S5 at the event. While there’s been no confirmation from Samsung, reports suggest it will unveil the next-generation Galaxy smartphone at the 2015 Mobile World Congress. Given the popularity of the Galaxy S5, it’s hard to fathom how Samsung plans to create an even better smartphone. However, rumors are beginning to pop up left and right, suggesting the upcoming Galaxy S6 features some surprisingly powerful components. As most loyal Samsung users already know, the Galaxy S5 featured 2GB RAM. This wasn’t the most memory used in a 2014 smartphone (Google Nexus 6 and several others used 3GB), but it serves its purpose just fine. According to a report published by the Italian news site Webtrek, the upcoming Galaxy S6 will feature not 2GB, not 3GB, but a mind-blowing 4GB of memory. Assuming this information is correct, the Galaxy S6 will boast the most RAM of any smartphone on the market. It’s important to note that this could be region-specific, meaning only certain Galaxy S6 units in certain regions will use 4GB RAM, while other units use 3GB. 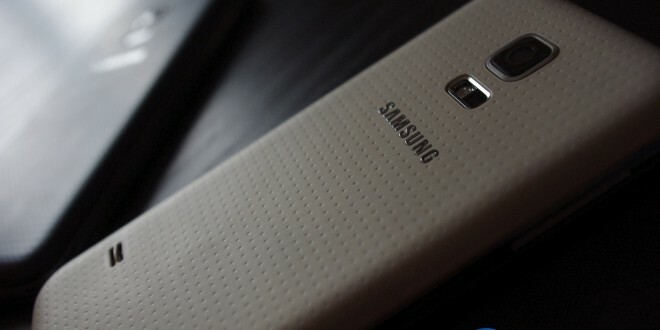 Rumor has it that Samsung is producing a standard flat variant Galaxy S6, as well as a curved-edge display variant. The curved-edge variant may support a curved display that wraps around the device, such as the display found on the Samsung Galaxy Note Edge. The key difference between the Galaxy Note Edge and the upcoming Galaxy S6 curved-edge variant, however, is that the S6 will feature interactive displays on both the right and left sides instead of just the right. 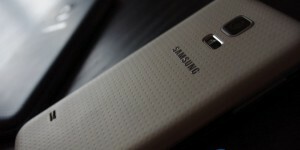 Furthermore, it appears that Samsung is ditching the Qualcomm Snapdragon processor in favor of a new mobile chipset. According to the Daily Mail, Samsung will use a newer, faster octa-core processor alongside a Mali-T768 GPU. If you enjoy taking photos on your smartphone, you’ll be glad to hear that the Galaxy S6 will sport a 16-megapixel camera. Granted, this is the same megapixel size as the Galaxy S5, but it’s safe to assume Samsung will make some improvements to it. Samsung knows the importance of a high-quality camera function on its devices, which is why it constantly works to improve this feature. Do you plan on buying the Samsung Galaxy S6? Let us know in the comments section below!